2013. 6'x6'. Map of the visual cortex area V1. 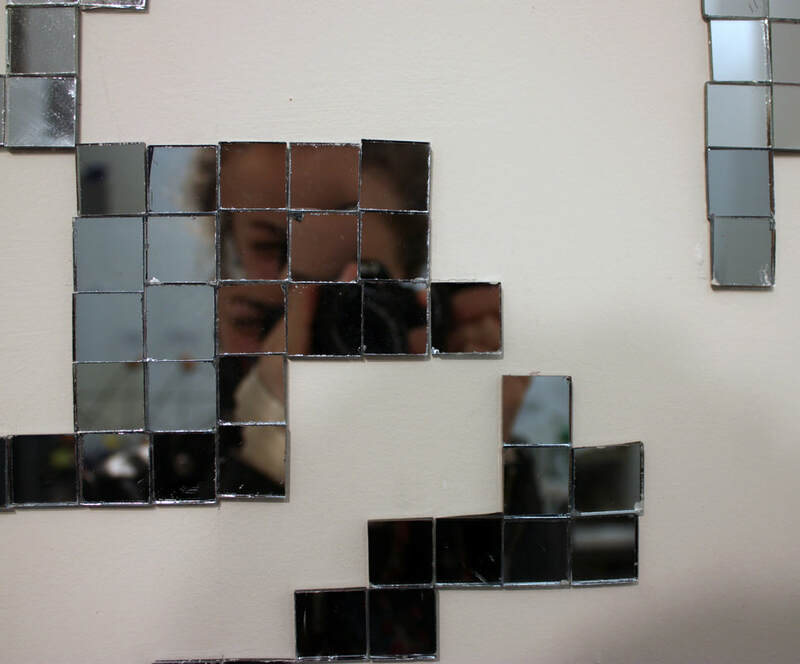 Mirror tiles. Comprehension of the visual world is a multi-step process in the brain, and the first step involves understanding the orientation of what we're seeing. 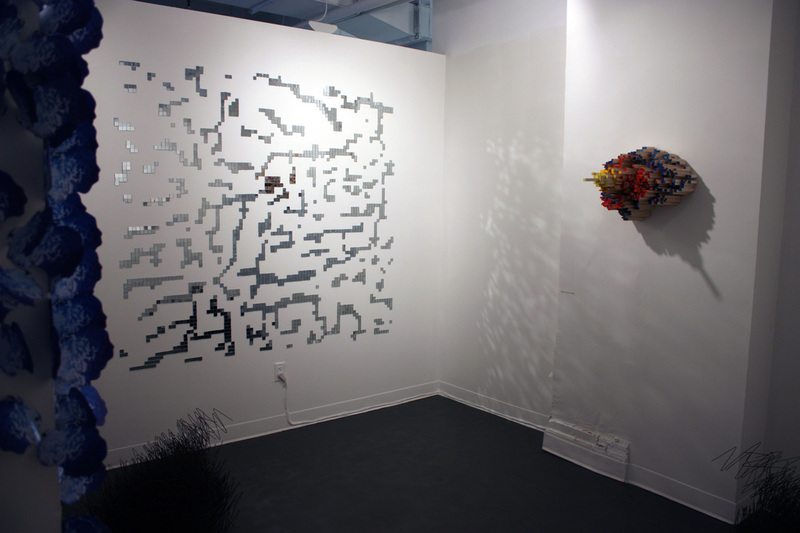 Based off of a topographical view of a portion of the visual cortex, each mirror tile here represents neurons responding to only vertical stimuli. In a sense, the mirrors' reflection serves as a topographical interpretation of our vertical world.